Every day, Tyler Knott Gregson posts romantic and striking poems on Instagram, enchanting his many fans with his authentic and deeply personal voice. He has a remarkable ability to see the beauty within the seemingly mundane moments of our lives, and above all else this is what keeps his fans coming back for more. Tyler's newest book showcases his inspiring poems, but it also goes one step deeper to reveal his secrets to cultivating this sense of wonder for the world. In this insightful guide, you will learn how to uncover your creativity, find inspiration, and live a life that is "more." Through a series of challenges, you are encouraged to write, draw, photograph, and share as you discover how to see yourself in a new way. 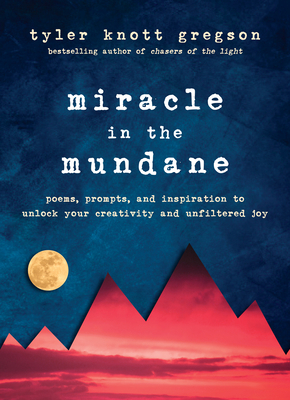 Featuring exercises on mindfulness and self-expression as well as a poem for every prompt, this book will broaden your heart and mind to see the miracles hidden all around you.